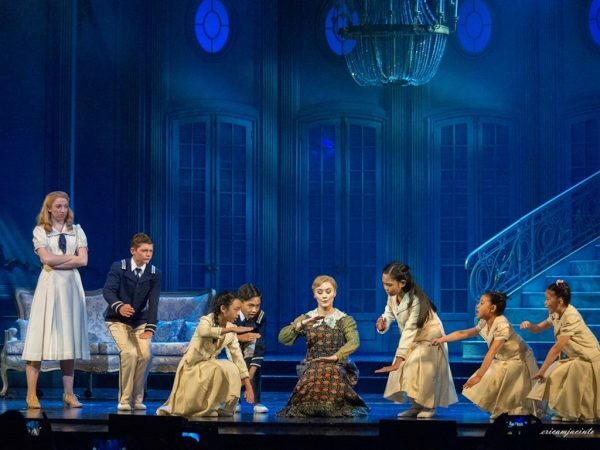 WATCH: The Sound of Music Cast Performs Do Re Mi, Climb Every Mountain! 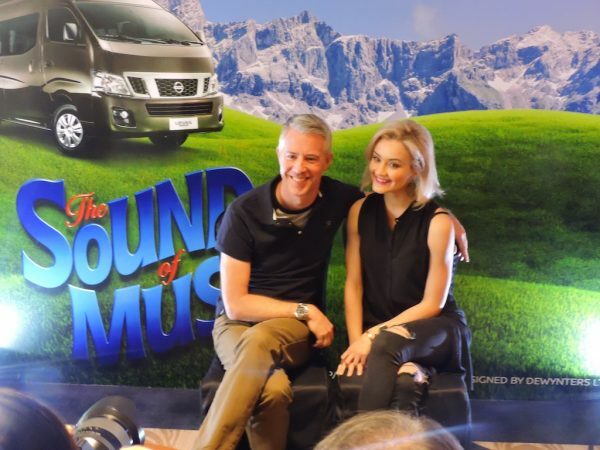 At The Sound of Music media call last September 28, we sat down with the principal cast members of the London West End touring production and talked to them about their own personal journey with the renowned classic. What was your earliest memory of The Sound of Music? Carmen Pretorius (Maria): My earliest memory was watching the film. I have two younger sisters and my mom bought us the movie when we were younger. She told me the story about Julie Andrews, and the actual Von Trapp family. I think we watched it as a family and it was just something we always used to play. I fell in love with the film. I watched it at least once a week. I remember, growing up, it was always part of my life because Julie Andrews was iconic. As a singer, I always looked up to her. And then when I was 18 and I started my career in the theater industry, I remember that the TV show was happening in the UK on the BBC with Connie Fisher and I saw the search for Maria in the London production. I was watching that and that’s when it came back into my life again. And then a few years later I auditioned for this show. That’s my journey. It’s a very personal one. Nicholas Maude (Captain Von Trapp): Mine’s a little bit different. I was first introduced to Christopher Plummer (who played Captain Von Trapp in the film) in Star Trek VI: The Undiscovered Country where he played a Klingon. 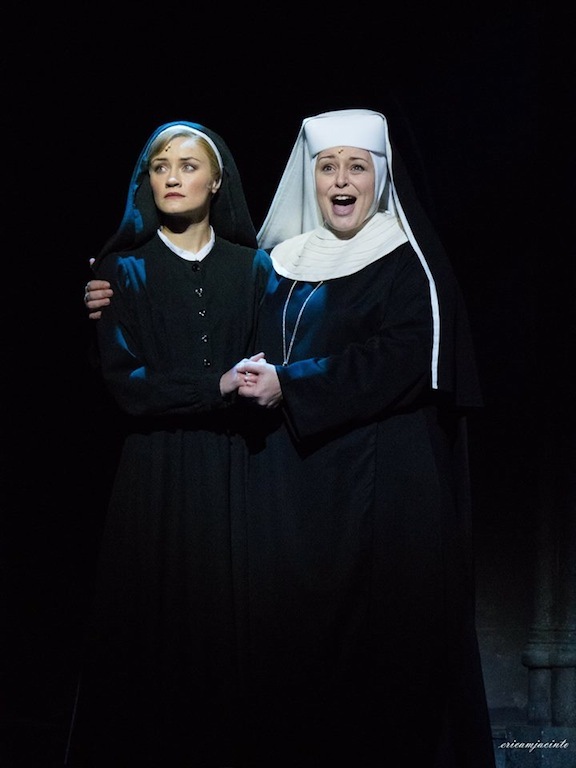 I hadn’t seen The Sound of Music at all until 2006 when I got the offer to do the West End show with Connie Fisher. So I watched it then. It’s a great film. I really, really enjoyed it. As a child I didn’t watch musicals much like Mary Poppins, or The Sound of Music. I didn’t grow up on that, which is good because you don’t then have the weight of the responsibility. 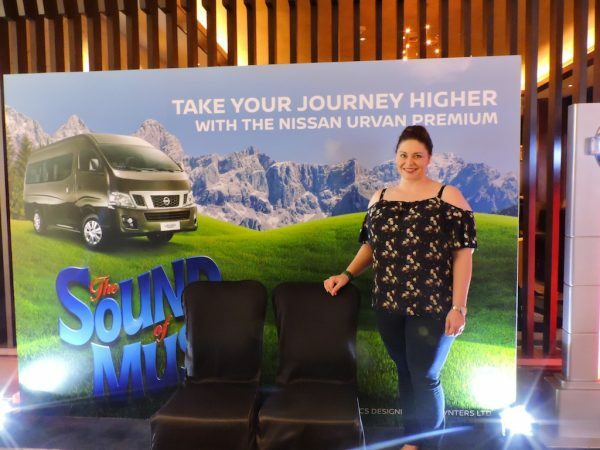 For some people, Sound of Music is very important to them, having grown up with Julie Andrews singing and Christopher Plummer being fantastic. So I didn’t have that. I came to it without that pressure. I’m not trying to be Christopher Plummer because he is Christopher Plummer. I’m myself. I kind of try to bring my own interpretation of the role. Janelle Visagie (Mother Abbess): I was about 5 or 6 years old and that was the first live musical my parents took me to in Cape Town. I don’t remember much of it but I can still see picture the scenes with the nuns so it’s kind of come full circle for me. That was my first theater experience. And also of course the movie we saw in school. Jonathan Taylor (Max Detweiler): I took the whole show straight off the page. I couldn’t remember the production, so for me, it was like doing a new play. And having the script and studying it, I really felt all of the layers that the show has that as a younger man in my 20’s in the 70’s, it just wafted over me as a corny musical. But getting to know it, it has such depth. It’s been a revelation for me because underneath of what you might call corny songs and the corny stories, there are layers which go darker and deeper into the Nazi history and the reactions to the Nazis. And my role especially, I couldn’t really remember the part. And when I got the script, I realized it was a lot bigger than I thought it was. And he [Max] reflects very much the attitude of some of my own heritage’s journey. There were a lot of German Jews and a lot of European Jews who adopted exactly the same attitude as Max when the Nazis started to blossom. They thought, ‘Just sit tight. Pretend to cooperate with them. It won’t be so bad. It will all blow over.’ And of course it didn’t. It turned out very badly for them. And it was a similar thing with Max. He’s very self-serving. He looked only after himself. He‘s very good friends with the Captain and the Baroness because they’re rich. And they help him fund the music festivals that he puts on. But in the end, he’s the one who sacrifices his life for the Captain and help the family escape from the Nazis. You know he’s going to be killed. They don’t show it but knowing about the history, there’s no way he would have survived. This ultra selfish person, totally self-serving, even sings the song with the Baroness, ‘There’ll be nothing else as wonderful as I’, and he says to the captain, ‘What’s going to happen is going to happen. Just be sure it doesn’t happen to you.’ He’s got no morals. He’s got no political convictions. He looks only after himself. But in the end, he turns out to actually be the hero who gives his life to save others. 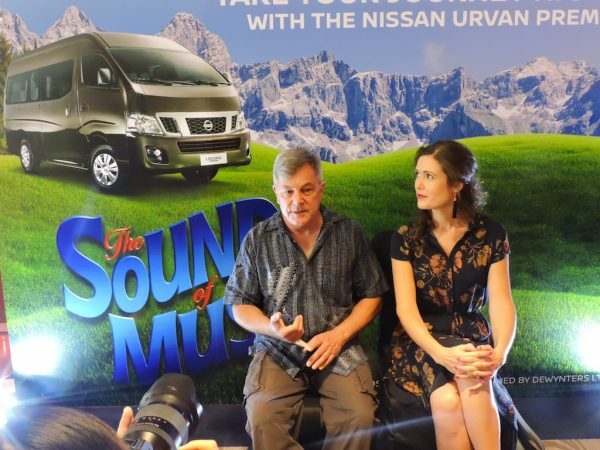 Haylea Heins (Baroness Shraeder): I have always been a fan of The Sound of Music. I watched it in Johannesburg with some of the same cast about 2-3 years ago the first time they did it and I sat in the audience crying and I had this burning desire in my heart to be in it. So when they did it in Durban in December, a smaller production of it, I was involved in The Sleeping Beauty, so it clashed and I couldn’t audition. And then I couldn’t believe it when after Sleeping Beauty in January, they were auditioning, and I flew out to Johannesburg to audition and they called me about 6 weeks later to tell me that they were giving me the role. It feels like such a dream come true for me and it’s one of my favorite musicals. 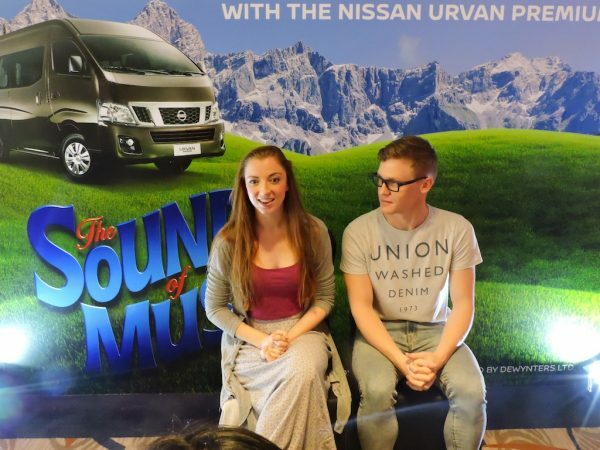 Zoe Beavon (Liesl Von Trapp): I’ve been a fan since I was about 4 years old. It’s one of my dream musicals to be in so this is an absolute dream come true. How long have you been doing this role? Maude: I’ve done the show for 3 and a half years. I did it in London for 2 years. And toured the UK. Pretorius: I auditioned in 2013. 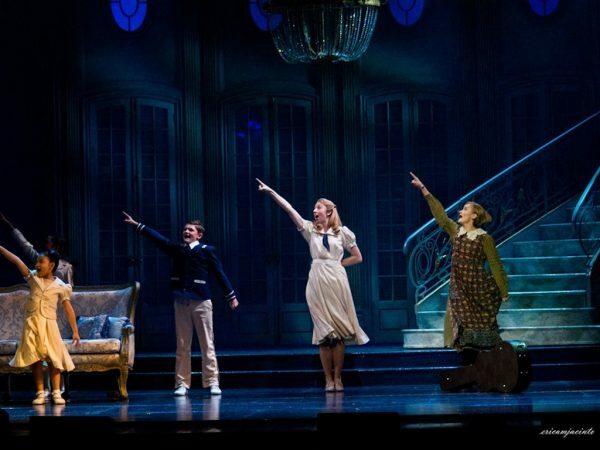 And I originally played the role of Liesl and understudied Maria. And then I went to play Maria. I played Maria for a year and a half, 2 years break, and now I’m playing Maria again. I’ve had quite a journey with the show. Visagie: I’ve played it in previous tours as well. We started in 2014. We toured for 2 years to South Africa, Singapore, New Zealand, China, Hong Kong, and Jakarta. We had about a year break and now we’re here again. 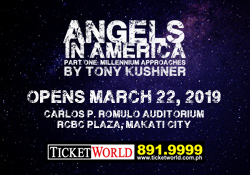 Did you need to adjust with the cast of local kids who, for some, are performing on stage for the first time? Maude: No. Kids are fearless. And they’re like sponges. So they take in information and are very good at not being put off. As adults I think we’re much more self-aware, and that we can be put off a lot more. When Carmen and I look at each other we might make each other laugh, whereas the kids aren’t like that. They’re wonderful. They’re just committed. They’ve got energy. They have a longing, a wishfulness to do the job well. They’re excited. Pretorius: They are so professional and so talented, just naturally. I mean I can’t believe that this is the first show that most of them have done. They sing beautifully. They act beautifully. They’re so well behaved. Professional to the T. Someone asked us earlier, ‘Do you think they learn from you?’ And I said, ‘We learn from them.’ We learn to… how we used to feel when we were younger. We are reminded of how special that gift is everyday, to have that young energy. The whole cast just gets infected by them. And they’re just happy to be there. They’re just so happy and excited. Beavon: Incredible. They are amazing. They’re so talented and so respectful and they know their stuff so well. When you guys watch it I’m sure you’ll be so, so proud of them. They’re incredible. They all bring their own set of nuances to the role. They’re amazing. What makes The Sound of Music relevant until today? Beavon: I think the themes in Sound of Music are timeless. It’s all about love, camaraderie, friendship, family, tragedy is thrown in there as well. So I think the themes in Sound of Music are so poignant in today’s society. Even though it was set in the 1950’s those themes are still so relevant today because we still love, we still have family, we still have friendship. McMeeking: Society just keeps revolving. And though it might manifest itself in different ways as the world progresses, the themes are still the most basic of themes and the most timeless of themes. Beavon: And growing up you relate to different characters as you grow up. You kind of go from Gretl, all the way up to the kids, and then you kind of start with Maria, and then you realize Mother Abbess has some good points, so I think as you grow older you relate to the different characters. McMeeking: When you’re younger, like the first time that I watched it, you never get to understand the dark subject matter behind where it was set; the themes that backdrop the entire show. And you ultimately end up just falling in love with the music, and the dancing, and the singing. That’s what you fall in love with as a child. And then like Zoe said, as you grow up, and you watch it again and again, you start going, ‘Oh! Okay.’, and then you start learning about history in school and then you start putting the pieces together and it just becomes more and more relevant the more you watch it. You end up picking up things in the film that you never picked up before. And it’s all to do with how we experience life. 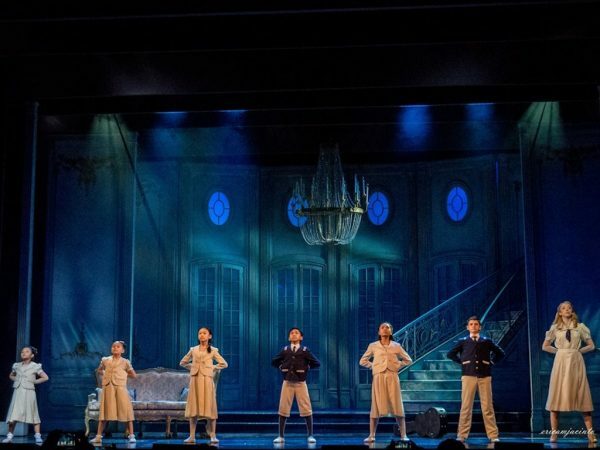 Below is a video excerpt of ‘Do Re Mi’ and ‘Climb Every Mountain’ performed by Carmen Pretorius, Zoe Beavon, Janelle Visagie, and a very talented cast of local children comprised of Jia Condino (who alternates with Alysha Mari Africa and Faline Dorado) as Gretl, Leani Columna (who alternates with Princess Aliyah Rabara and Samantha Lagman) as Marta, Sophia Isabella Reyes (who alternates with Krystal Brimner and Rayne Cortez) as Brigitta, James Christian Hess (who alternates with Dean Adhiel Angelia and Tory Cortez) as Kurt, Angelica Mabuting (who alternates with Gwyneth Dorado and Quinn O’Hara) as Louisa, and Joseph Legatt (who alternates with Kyle Robert Rafanan and Orenci Ken Soleta) as Friedrich.